Weekdays are rough. The work day grind, commutes and the general torture that usually ensues is enough to make one need therapy. Well you are in luck because on Joy De Vivre I am starting a new weekly post to give you retail therapy! Nothing like a little shopping to raise the spirits, plus bonus points for retail therapy.. no insurance copay required! 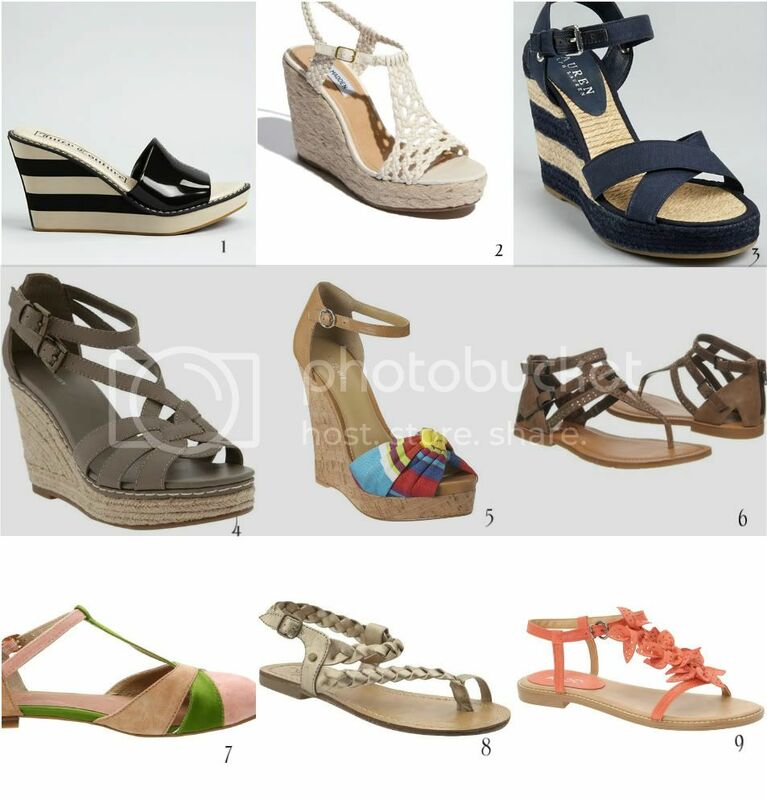 This weekend get ready for the warm sun with these fabulous sandals, all for under $100. Whether you are headed to the beach, an outdoor wedding or a picnic in the park, these findings will take you there in style. Now thats more like it!! Shoes a pretty young woman like you to enjoy wearing! Aww thanks Intense! I have actually bought two of those since writing this! Oh and the skirt from the latest post! My poor bank account! LOL!